and a special moment for children. 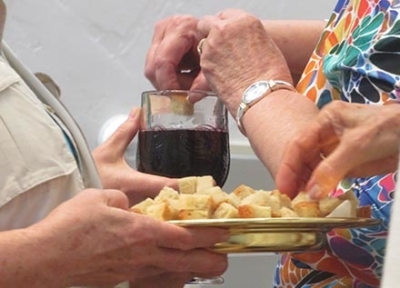 We share communion together on the first Sunday of the month and ALL are welcome to share in this special meal of gluten-free bread and grape juice. We encourage all children to begin worship in the sanctuary. We understand that children wiggle and giggle and sometimes even cry, but believe that our children will learn to worship God by being in worship! About 15 minutes into the worship, we have a Children’s Chat, when our pastor shares a message that is geared especially to the youngest in our midst. After that, they are welcome to attend Sunday School (ages 3-grade 12) in a classroom in the same building as our Sanctuary. They have Bible lessons, games, etc. led by trained teacher volunteers. While all children are welcome to stay in worship the entire time, we also recognize that sometimes children and parents/guardians want another option. We have a staffed nursery that is open from 10 minutes before worship starts through the conclusion of worship. 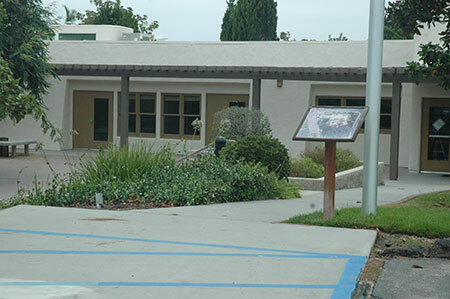 From our parking lot, there a two ramps, one that directly leads to door of the Narthex (and to the Sanctuary), and the other to our fellowship hall. Our building is on one level. Our main entry as well as our rest rooms are handicapped accessible. We also have hearing assisted devices that are connected to our sound system. From the 52: Exit Regents Road/Clairemont Mesa. Go north on Regents Road then turn left onto Governor Drive. The church is at the west end of Governor Drive at the corner of Governor and Stresemann. Our parking lot is behind our church building. 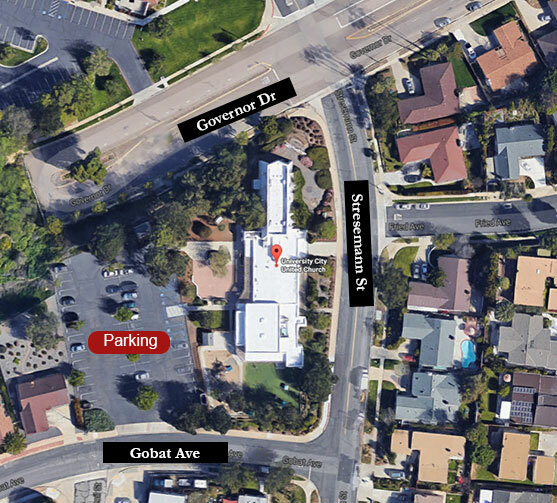 Entrance to the lot is on Gobat Avenue. 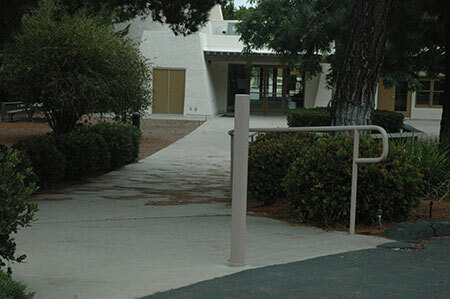 There is an entrance to the Narthex outside our Sanctuary from the parking lot. There is also an entrance on Stresemann Street.